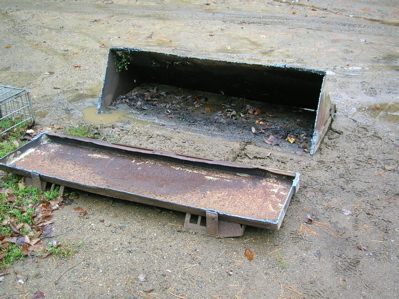 As of October ’12, the engine repair for the Ford 545 is still on the back burner. 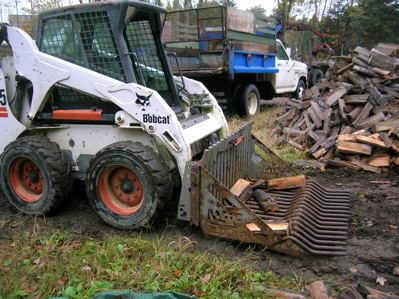 I have the use of the Bobcat s185 for loading out, so I need to add a ‘quick tach’ plate to the tine bucket. 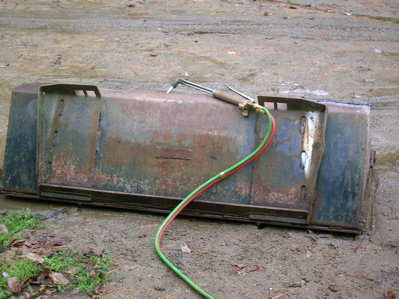 This donor bucket has been poorly patched, but the back is still straight. 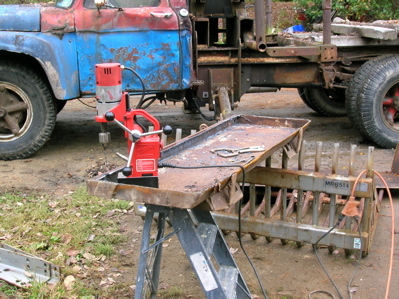 Drilling holes for the bracket U-bolts. The back plate fits right over the bucket crossbeams. Driving into the pile takes finesse, but once the technique is figured, it works very well. 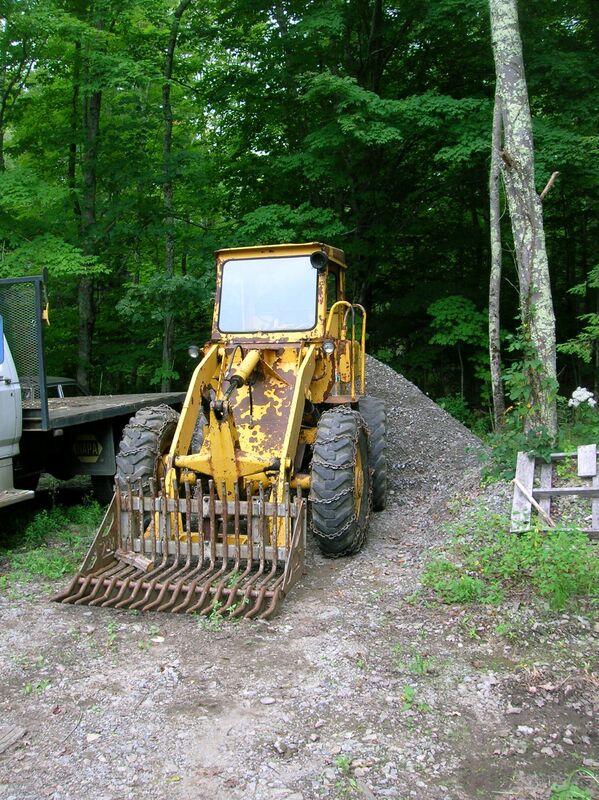 This is about all the bucket the 185 wants to deal with, due mostly to the extended tine length. 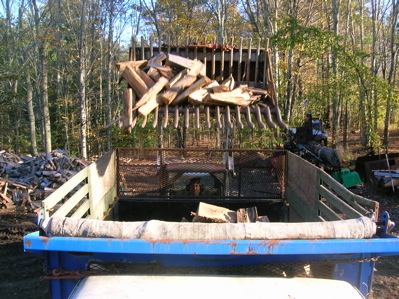 This also makes the last few loads hard to tip, as the lift is a bit short. No matter. 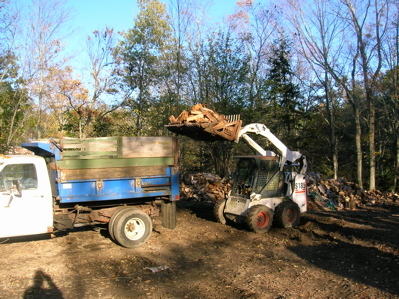 The truck is loaded in less than 15 minutes without breaking a sweat. More significantly, the dirt stays on the ground. With that in mind, I’d say the tine bucket was the best money spent on the firewood project this summer. (I can see the future from here, and it looks warm). 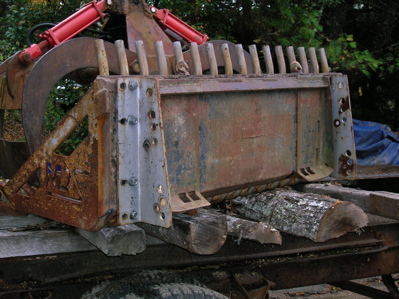 The borrowed skid steer was sold off with my neighbor’s business, so I adapted the tine bucket to fit the Hough loader. More photos to come.